“What is the most precious resource of the 21st century? Talent!” This popular movie line hearkens to the ongoing battle for talent in China. Since last year, a number of second- and third-tier Chinese cities have launched talent recruitment programs, and competition for talent is revving up. This summer, a record 8.2 million Chinese university graduates enter the workforce. Considering the limitations and increasing housing prices in Beijing, Shanghai and other first-tier cities, more and more young graduates are looking to up-and-coming second- or third-tier cities. In 2017, Wuhan, capital of Hubei Province in central China, kindled the trend by urging a million college graduates to stay in the city to start businesses. Wuhan rolled out favorable policies enabling newcomers to obtain local hukou (permanent household registration) with their diplomas. Chengdu is revamping its talent policy to address the housing problem of Rongpiao, or “Chengdu drifters.” The city will loosen its hukou policies to help skilled migrant workers settle permanently, even before securing employment. University graduates seeking employment in Chengdu can enjoy seven days of free lodging courtesy of the city. 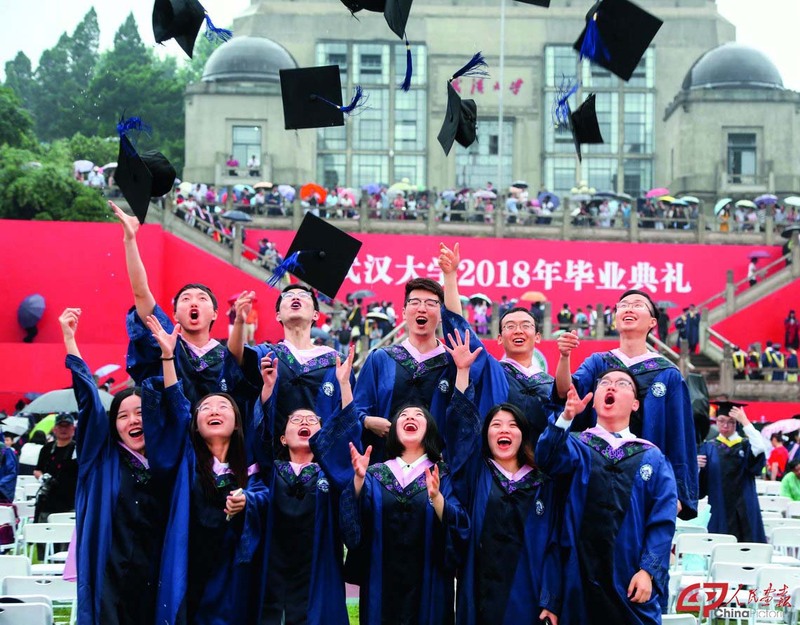 In Nanjing, news that university graduates from elsewhere seeking jobs in the city could receive a job subsidy of 1,000 yuan swept across social networks and triggered heated debate in the media. Changsha offers 6,000 yuan, 10,000 yuan, and 15,000 yuan rent and living allowances to bachelor’s, master’s and doctoral degree holders respectively for the first two years after they settle down in Changsha. It also offers as much as 30,000 to 60,000 yuan in subsidies to master’s and doctoral degree holders seeking to buy their first home in the city. So far, more than 20 second- and third-tier cities have joined the competition for talent. The cities are offering subsidies, free accommodation plans, preferential hukou policies and other methods to attract talent, with each providing more enticing conditions than the last. The cities share a dream: finding ways to attract talented people to become residents. Now, changes in migratory patterns affecting the future development of such cities are frequently reported. Chinese recruitment website BOSS recently released a 2018 in-season talent trend report. The report noted that in contrast to past college graduates heading to work in first-tier cities like Beijing, Shanghai, Guangzhou and Shenzhen, more and more are choosing cities like Hangzhou, Wuhan, Chengdu, Zhengzhou and Xi’an. Furthermore, of young professionals leaving first-tier cities, 35.5 percent head to one of the above five. The improvements in second- and third-tier cities and the higher survival threshold of first-tier cities are two invisible hands pushing in the same direction. Second- and third-tier cities demand urgent economic transformation and upgrading, and the massive demand of industrial transformation and upgrade exacerbates the scramble for talent. With the decline of China’s demographic dividend, the talent dividend is now front and center. Modern economic development has shown that human resources are the inexhaustible driving force of economic growth. On the surface, the cities are lobbying for talent, but they are really vying for human capital dividends. The creativity inherent in human resources is fundamental to fostering greater possibility and supporting the long-term sustainable development of a regional economy. China’s economic development has already shifted to a phase of high-quality development. In contrast to the large-scale innovative industrial pattern in first-tier cities, second- and third-tier cities more desperately need the talent dividend to promote industrial upgrade. At the same time, reform and development of second- and third-tier cities also create more opportunities. Take Wuhan as an example: It announced a goal to attract 100,000 research or alumni professionals with overseas studying or working experience, a million college graduates working in innovative industries or starting businesses in the city, and a million skilled employees. This drive works in conjunction with Wuhan’s goal to become a high-level innovation center. For many years, China’s first-tier cities such as Beijing, Shanghai, Guangzhou and Shenzhen have attracted a continuous inflow of talent with their developed economic conditions, mature infrastructure, high-quality public services and broad space for development. Numerous elite schools in such cities also helped attract young talent. The continuous influx of talent has resulted in rapid economic and social development of the first-tier cities as well as exponential population growth of these cities. By the end of 2017, the resident population of Beijing, Shanghai, Guangzhou and Shenzhen was 21.71 million, 24.18 million, 14.5 million and 12.53 million, respectively. The downsides of such magnitude such as rising housing prices and more frequent traffic jams have become big problems in these cities. In recent years, many have voiced a desire to flee first-tier cities. To help cure big-city ailments, Beijing and Shanghai pioneered population control plans. According to them, by 2020, the resident population in Beijing will be limited to 23 million for a considerable period of time. By 2035, the population of Shanghai will be limited to about 25 million. In 2017, the resident population of Beijing reached 21.7 million, leaving limited growth space. It is becoming natural for graduates to look to options in second- and third-tier cities. Wuhan is winning the battle for talent. The municipal government proposed to create a “city of youth, dreams, innovation and vitality.” Many new policies have been launched such as preferential treatment in obtaining a hukou, subsidies for housing, aid to secure employment and grants for entrepreneurs. In 2017, a total of 301,000 college graduates chose to settle in Wuhan. To attract more talent to the city, last year Wuhan decided to build affordable housing for university graduates and enable them to buy or rent apartments at a discounted price as low as 20 percent of the market price. Today, more than 7,000 such apartments have been provided in Wuhan. After online registration and verification of credentials, graduates can choose a room and move in immediately. While sparing no effort to attract talent, those cities should also waste no potential talent. Some experts point out that after recruiting a star, the real challenge is optimally utilizing the talent, integrating the individual’s growth with urban development, providing a stage on which to perform, ensuring optimization of talent advantages and creating a virtuous circle of talent growth and urban development.